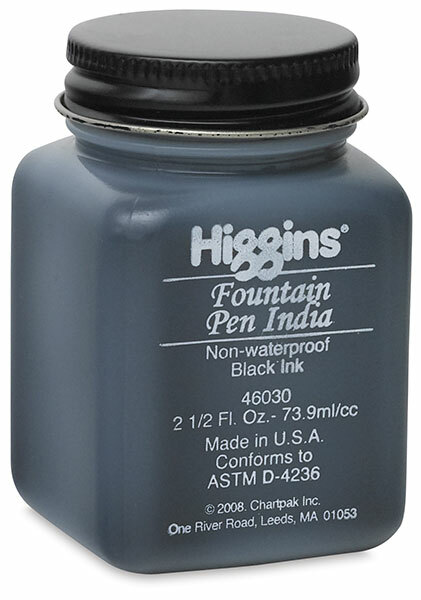 This is a permanent, deep black India ink purposely designed for use in fountain pens. The ink is great for lettering, sketching, calligraphy, and italic writing. Black ink. 2.5 oz (73.9 ml) bottle.